Mien San has been around for a long time. I remember my father getting take-out from this place when I was still in grade school. Through the years, it became a go to spot whenever we felt hungry late at night. It was open till the wee hours of the morning. We rarely dine in because the place was your typical Chinese restaurant. It was not as hygienic as you’d want it to be though the food was really good. Nowadays, the place has been renovated and they’ve expanded and taken over the space beside them. The signage is now more modern. The place is cleaner and the tables and chairs have been changed. 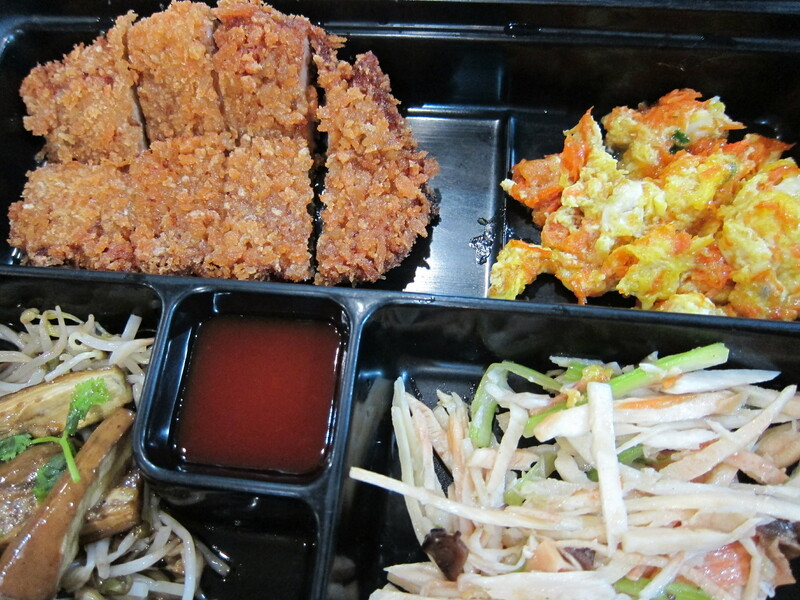 Tonight, we went to Mien San to eat. We ordered their Tofu w/ Century Egg, Oyster Pancake, Fish Ball soup, Fried Porkchop w/ Rice and Fish with Rice. The Tofu w/ century egg has always been one of my favorites in this place. 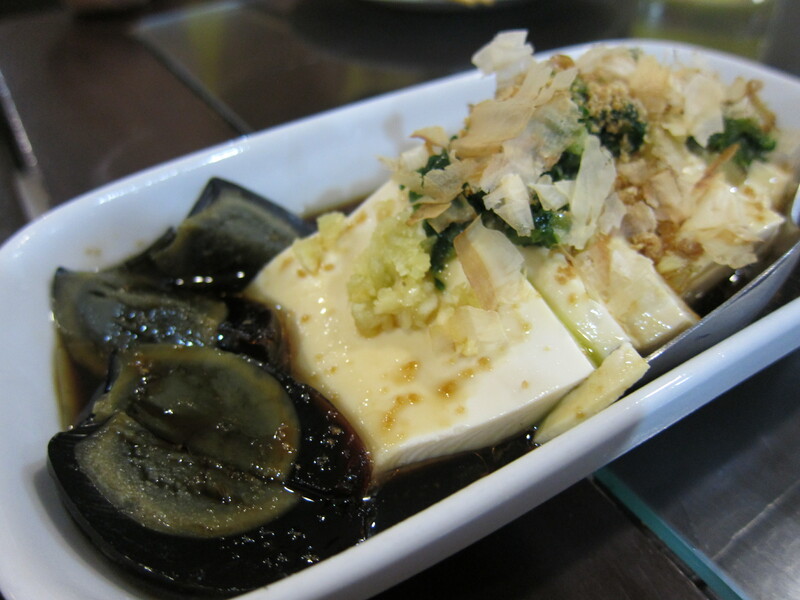 The tofu and century egg is drowsed With soy sauce and lots of garlic. The Fried Porkchop is really good as well. It gives Tasty’s porkchop a run for its money. Its crispy on the outside and tasty on the inside. 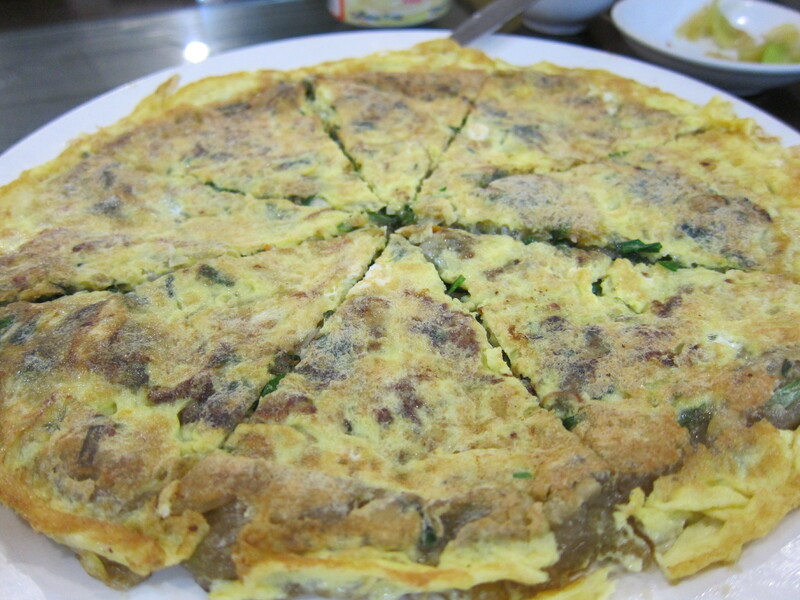 Tonight’s side dishes included Bamboo shoots, Omelette and Eggplant with Tauge. 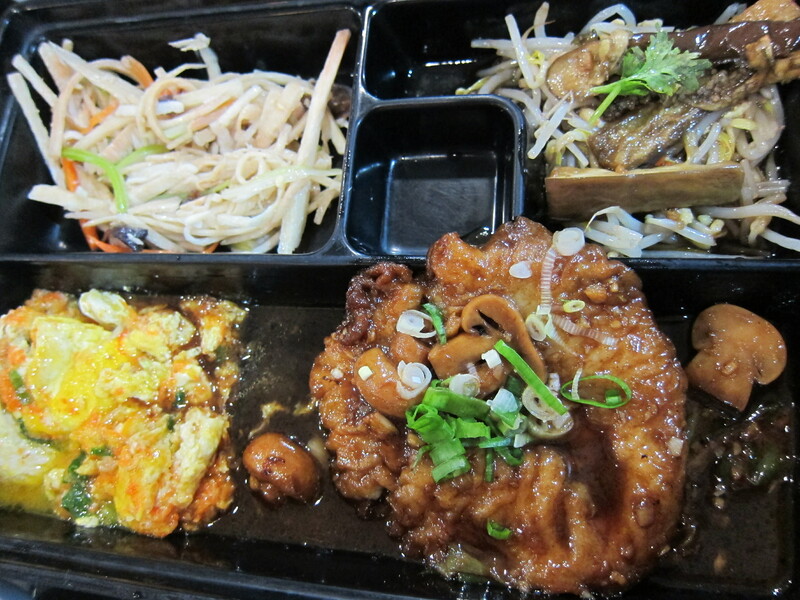 The fish w/ mushroom is what I had. It has the same side dishes as the friend porkchop. I liked that this is light and very tasty. The fish ball soup seemed to have too much MSG in it. The fish ball itself was cripsy and tasty though. The oyster pancake tonight was not as good. It felt that it had too much cornstarch / flour and very few oysters. Total bill was a little over PHP1000. Mien San is located along Granada Street in San Juan.